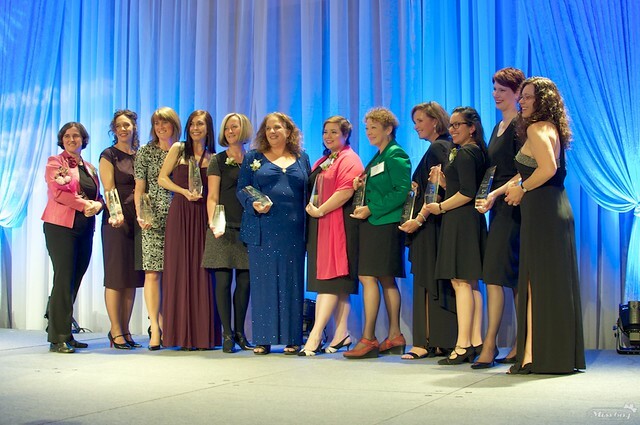 The 2015 YWCA Women of Distinction Awards happen tonight at the Vancouver Convention Centre as a near record-setting number of remarkable women have been nominated for their contributions to their workplace, industry, and community. Awards will be handed out during a gala dinner and as the Social Media Sponsor, I will be posting live updates on Twitter throughout the evening. These will include photos, quotes, and of course news about the award winners in each category. 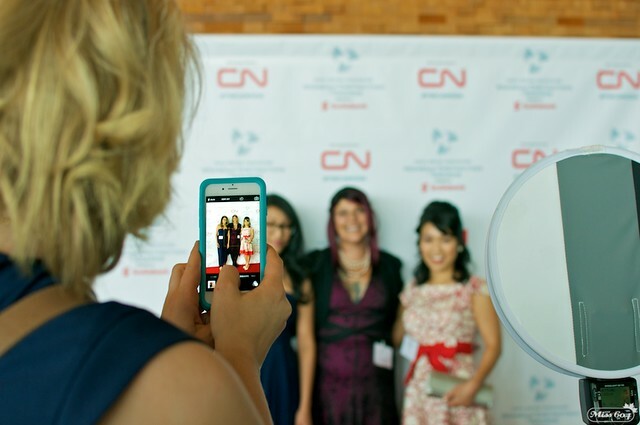 Tonight’s official tag on Twitter and Instagram is #YWCAWODA. 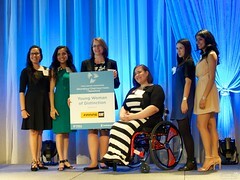 Follow the YWCA of Vancouver on Facebook and Twitter for more information along with the YWCA Women of Distinction Awards @YWVanWODA on Twitter. 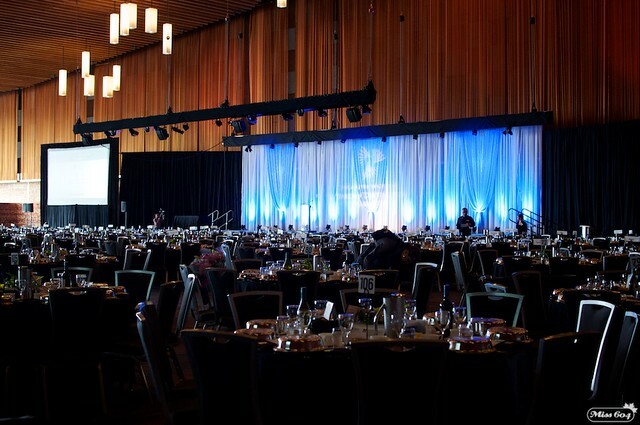 For the first time, the awards gala and dinner was hosted at the Vancouver Convention Centre (West) and there was also a live auction to start off the evening. Hosted by an energetic Fred Lee, who made for an excellent auctioneer, the live auction items brought in bids between $4,000 and $5,000 a piece. 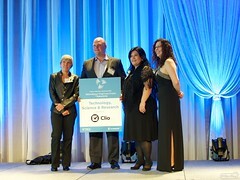 It was a great start to the evening, which was hosted by Global’s Randene Neill. 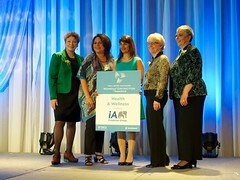 Dinner was served as guests heard from YWCA members, clients, and supporters. 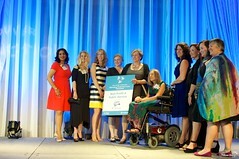 These were the 32nd annual Women of Distinction Awards and since its inception, the event has awarded 290 recipients and recognized 1,500 nominees. In 2014, the YWCA of Metro Vancouver touched the lives of 40,000 people. A video telling the story of several mothers who have been positively impacted by the YWCA played and eyes failed to remain dry for long. One of the mothers in the story, Jen, then took to the stage to continue her story. 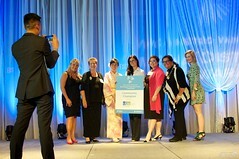 The awards followed, and from the 69 nominees (in the photographs below) the winners were announced. Jan, President, BC Women’s Hospital and Health Centre, is a powerhouse for advancing women’s health in BC and a global leader in maternal care. Her work in preventative health care, combating maternal and newborn mortality and promoting human rights exemplify her passion for helping others. Her more than 25 years of accomplishments include being President, Society of Obstetricians and Gynaecologists of Canada; Expert Advisor, Canadian Institute for Health Information for Maternity; and Founding Chair, Aboriginal Maternity Committee – all while delivering thousands of babies in BC. 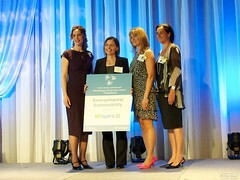 She has positioned Vancouver as a global leader in maternal and newborn health care. Jan has saved countless lives and has trained and mentored hundreds of health professionals globally, including establishing emergency obstetrical training in Uganda. Women and families everywhere benefit from her influence, excellence and generosity. 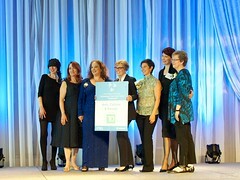 @YWVanWODA @BCWomensFdn #YWCAwoda Congrats to Jan Christilaw – an outstanding and fearless advocate for women's health! Congratulations to all of the nominees and the recipients this year! 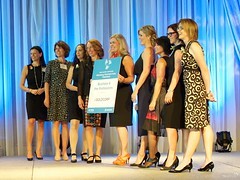 The event was a smashing success, raising $98,639 by the end of the gala. 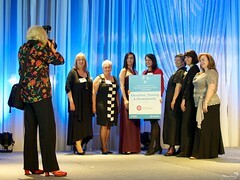 Miss604 is a proud sponsor of the YWCA Women of Distinction Awards for the 6th year!